My love of Pixi's Spring 2012 PixiGlow "Tinkerbell" inspired makeup collection continues! The more I use these products, the more I love 'em! Actually, I think I have found a new fav lip product with the line's Magic Tink Tint. Have you seen this collection? It is just beyond cute with its artsy Tinkerbell design. I am at my core, a Disney fan, so you can imagine how this collection excites me! These products are not only cute, but also extremely flattering to wear. If you missed my previous PixiGlow reviews (shame on you, lol, just kiddin! 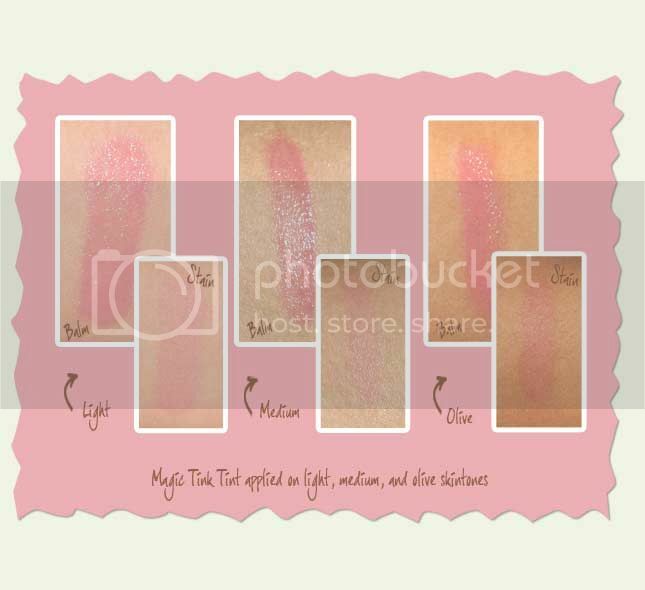 ), be sure to check those out: PixiGlow Fairy Face Palette and Pixi Glow Straight On Till Morning Liner. Ohhh girls, this lip tint is so good! 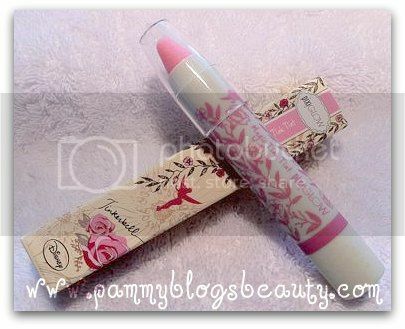 It is essentially a self-adjusting lip tint in a chubby pencil form. It is nicely moisturizing and leaves behind a beautiful and long-lasting tint. It has a balm like feel and a minty scent. Of note: while this is a pencil "shape", the product actually twists up like a traditional lip balm. No need to sharpen! The product is actually clear; but after it is applied, it adjusts to your ideal pink shade when it reacts with your skin's chemistry. On me, it wears as a pretty cool toned mauve-ish pink. My ideal shade! My neutral-cool toned skin always looks nice with shades in the purple/pink family. This pretty color perks up my face and just makes me happy! Plus, its so easy to wear! Fool-proof lip color. Love, love, love it! I might even need to get a back-up of this one! Have any of ya'll checked out this cute line? If not, it is available at Target and target.com!